The modern Kyrgyzstan flag was adopted following the fall of the Soviet Union and the beginning of the nation's independence in the modern era. The flag was designed to reflect the traditional culture of Kyrgyzstan in order to make sure that it can fully represent the nation and its citizens. 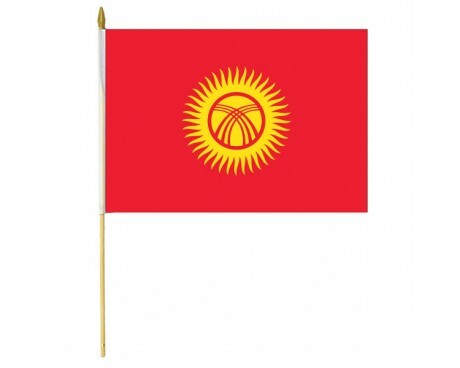 The flag of Kyrgyzstan was adopted on 3 March 1992 by the Supreme Council of Kyrgyzstan. It consists of a red field with a yellow sun in the center having 40 uniformly spaced rays. In the center of the sun is a red ring crossed by two sets of three lines, a stylized representation of the tündük (Kyrgyz: түндүк, IPA: [tyndyk]) or crown of the traditional Kyrgyz yurt, a symbol replicated in many facets of Kyrgyz architecture. 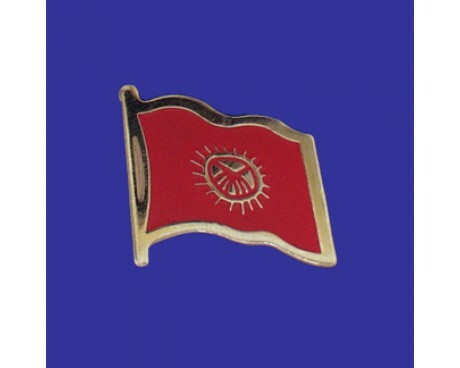 The red background of the flag symbolizes bravery and valor, the sun represents peace and wealth, and the tunduk signifies the family home or, by extension, the universe. According to popular interpretations, the sun's 40 rays represent the 40 Kyrgyz tribes unified against the Mongols by the epic hero Manas. 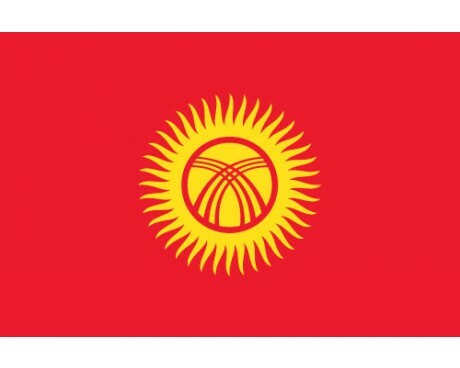 The modern flag of Kyrgyzstan features a solid red field with a complicated emblem in the center. The golden emblem is a a stylized sun with forty rays and several lines that arc through it. The lines represent the top section of a traditional yurt, which serves as a symbol of the tradition culture of Kyrgyzstan and the importance of family. The sun is a symbol of wealth and peace. The red field is intended to represent the courage and valor of the people. The forty rays that reach out from the sun are a reference to one of the greatest works of literature to be produced in Kyrgyzstan, the Epic of Manas. The epic was an oral poem that told the story of Manas uniting the tribes of Kyrgyzstan and fighting against a variety of foreign foes. Each ray on the flag represents one of the tribes that Manas brought together, making them a symbol of unity within the country as well as a reflection of its literary heritage. The first Kyrgyzstan flag represented the nation while it was part of the Soviet Union. It had a dark red field that was divided by three horizontal stripes. The central dividing stripe was white, while the other two were dark blue. 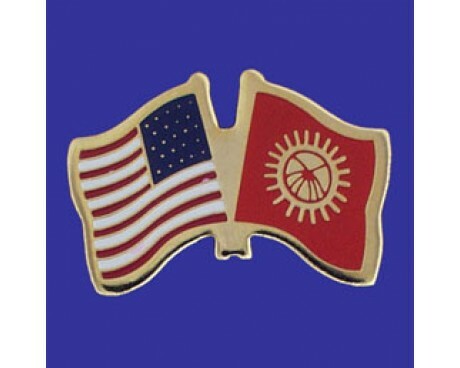 The canton displayed the crossed hammer and sickle of the Soviet Union in gold to emphasize the political link between the people of Kyrgyzstan and the rest of the Soviet Union. That flag fell out of use when the Soviet Union collapsed at the end of the 20th century. Kyrgyzstan became an independent nation at that point, and the government selected a new flag to represent the newly-independent country. The Supreme Council of Kyrgyzstan selected the new flag of Kyrgyzstan in 1992, and it has used the flag ever since.